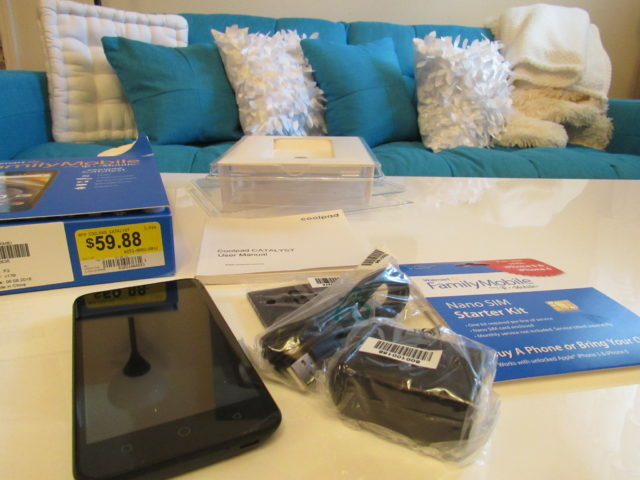 Join me and my family while we get angry for savings with Walmart Family Mobile! One of the perks of having the Walmart Family Mobile subscription is that I get a FREE Vudu movie every month. I haven’t decided what we’re going to watch this month but I know it will be great what ever it is. One of the reasons I purchased my Smart TV’s is because of Vudu. My ongoing attempts at getting the family together for movie night is really paying off. Have you seen all of the great movies that are available right now? We watched My Girl last time and we all were teary eyed at the end of the movie. We laugh, we cry, we eat, we eat, and we eat lol. I try to make our time together as fun as I possibly can. The kids are involved in so many activities that it’s fun just to stay home for some R & R and togetherness time. I’m so excited about the Walmart Family Mobile PLUS plan, not just because of the free Vudu movie every month. That’s just one little perk of so many. Like the Unlimited Talk, Text, & Data which includes up to 10GB of 4G LTE data and as I already mentioned, I get a free movie on VUDU (new release rental $7 value) every month per line for $49.88. I spend so much time online playing games while I’m waiting for the kids to finish their after school activities and I’ve not come close to using up all of my data. I also call my family members who live far and wide and boy can we talk. And talk. I take photos to send to everyone and it keeps us all together in a sense even though we’re all miles apart. Back to movie night. Every week we set aside one night to have a movie night. Some weeks if we’re lucky enough to have two free nights, we have two movie nights. Either I buy a DVD, or we watch something that we’re all interested in, on one of my many movie subscription plans (or even the free Vudu movie). We went to the movie theater to watch Angry Birds and the kids have talked me into watching it again. It didn’t take much for me to agree because I love The Angry Birds Movie. I purposefully didn’t purchas the DVD for this movie before now because I’ve been wanting to have an Angry Birds movie night since we went to see it at the cinema. As it turned out, Abby and I were the only ones feeling up to movie night due to illness and we made the best of the situation. A day or two before movie night, I start getting everyone excited about movie night. I try to come up with at least one craft to tie in with the movie. And of course the food is important as well. 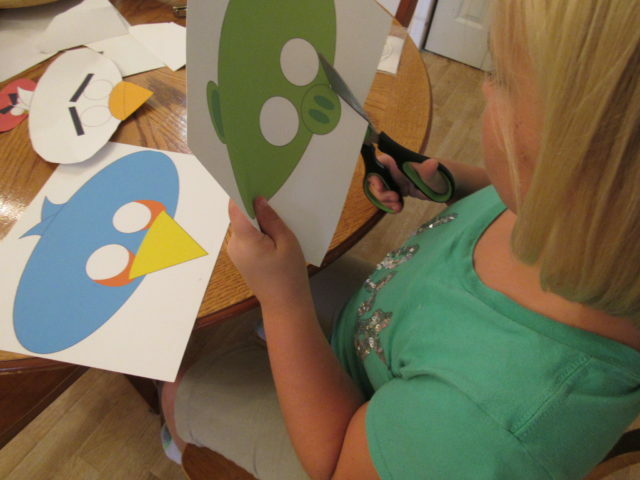 I let the Abby print out masks using an Angry Birds printable mask template, card-stock and elastic cording to tie it on. She had so much fun making the masks. Of course we had to make Peanut one *woof*. From the look on his face, I think maybe he was hoping for a one of the Green Pigs mask. 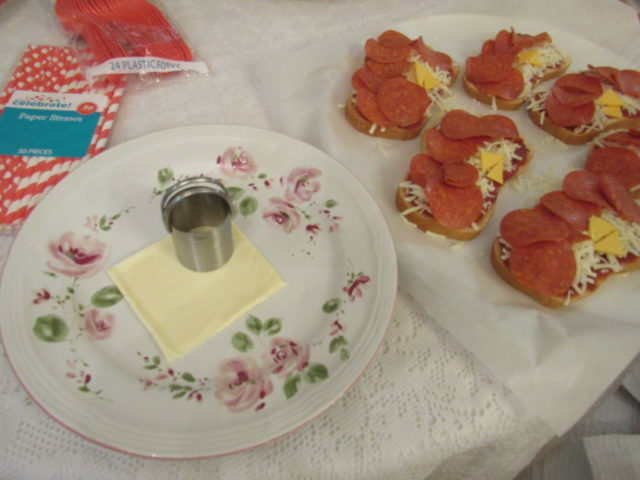 Movie night means a lot of fun and delicious food for everyone. I try to make goodies to center around whatever movie I purchase or we decide to watch on one of our favorite movie networks. 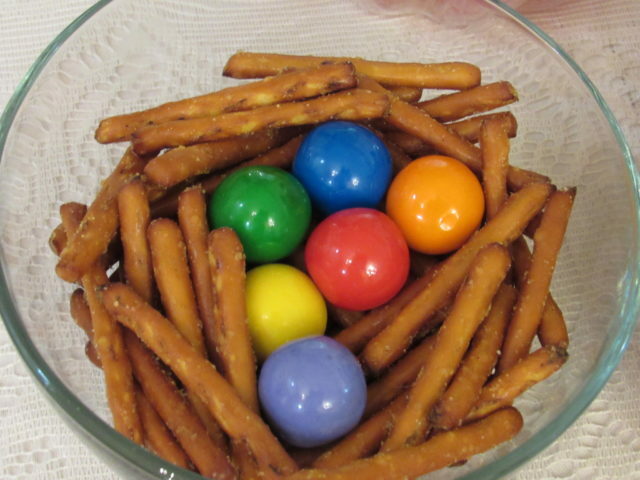 For Angry Birds movie night, we made an Angry Birds nest out of pretzels and gumballs. Abby kept chewing all of the “eggs” so I kept having to replenish them :). I think she is a Green Pig in disguise. 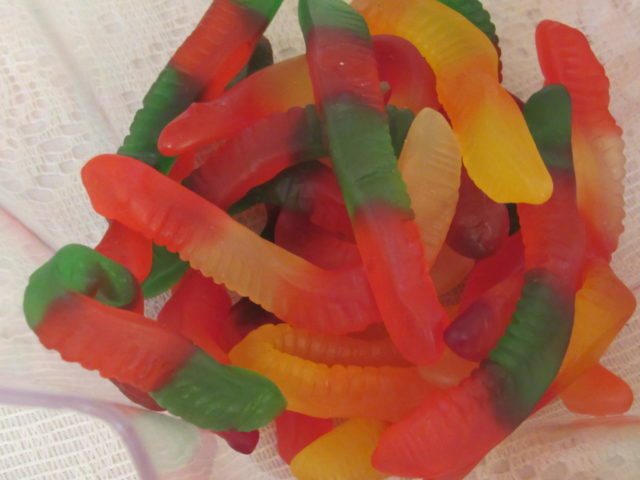 Of course we wanted to try some Angry Birds food… worms, yummy. Movie night would not be complete without cupcakes. Right? And pizza. Angry Birds pizza at that. We sure had a great movie night but now it’s back to the real world, lol. 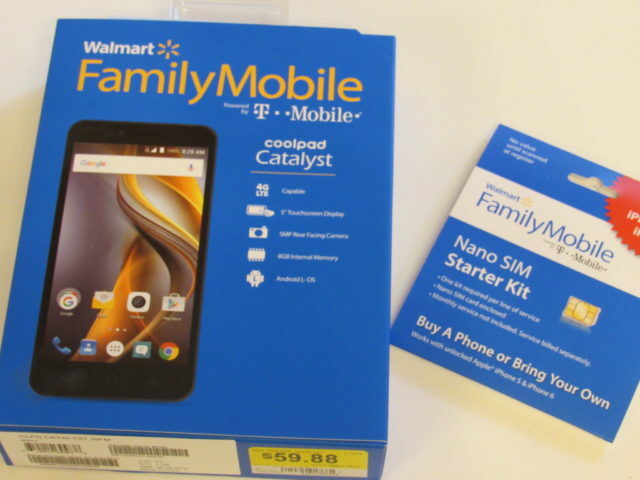 You may recall my previous post about the Walmart Family Mobile Plan. Last time, I purchased two phones for the older kids. This time, I purchased one for Abby. Abby is at that age where she’s still very clumsy. 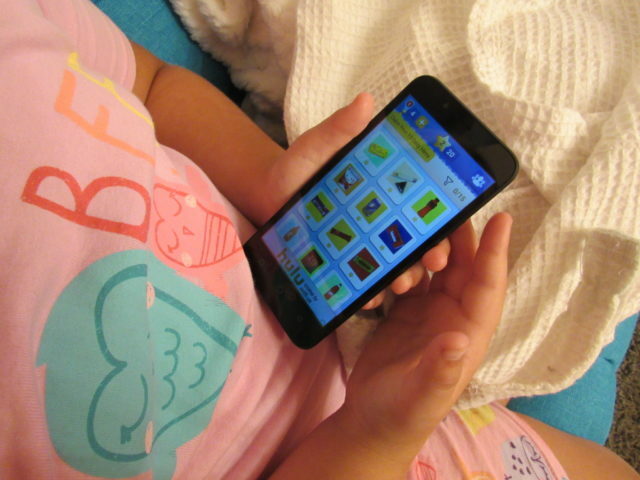 So far this year, she’s managed to crack the screen on several tablets. I can’t even remember what all I had to repurchase for her last year but it was quite a bit more than this year. Keeping this in mind, I thought the Coolpad Catalyst- for $59.88 would be more suitable for her. 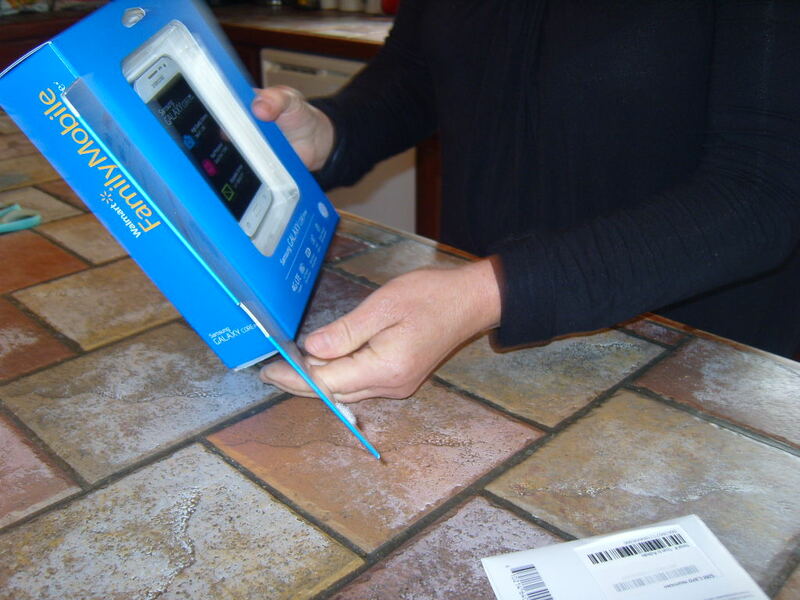 The starter kit was $19.88 which means my out of pocket expense was really low compared to other prepaid carriers. Being able to start service on ANY plan for $19.88 leaves money for other things, and shoot, to be honest, who doesn’t love saving money for entertainment with the Walmart Family Plan? Family Mobile bills you later so all you need is the $19.88 to get your plan started. This phone has a front and rear facing camera for all of her selfies. She’s very active on music.ly and Snapchat so I kept this in mind when selecting her new cell phone. I love that I can keep up with her when she’s at her after school activities because she can call or text me when I need to pick her up. When she goes off for the weekend, I like to call and check up on her even though I know she’s having a great time with her friends. I think it’s a great phone and so does she. Abby hasn’t put her phone down yet. 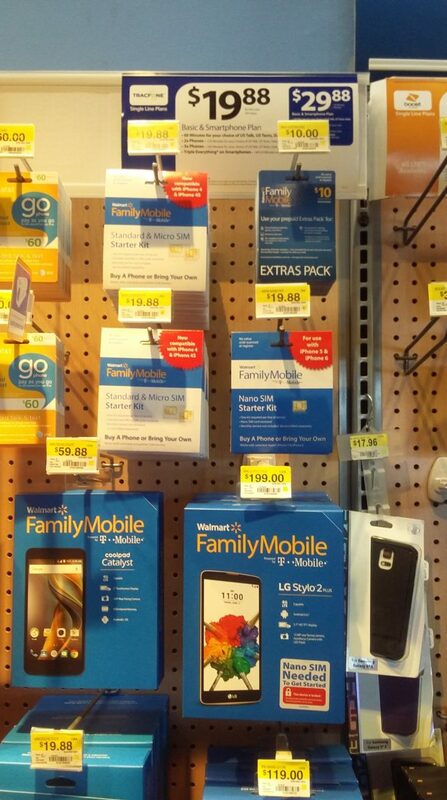 If you haven’t checked out Walmart Family Mobile at Walmart, you’re missing out on some great phones. You can visit the hub to find an in store event to meet with a Walmart Family Mobile rep. The event will have a code that you can scan to receive a free power up for the Endless Runner Game on the Angry Birds Action! app. We all love taking selfies so be sure to scan the Angry Birds code on the Angry Birds displays to unlock a selfie augmented reality experience with the Hatchlings. 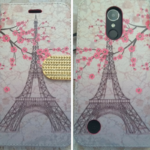 What feature do you look for in a phone? How about a phone plan? 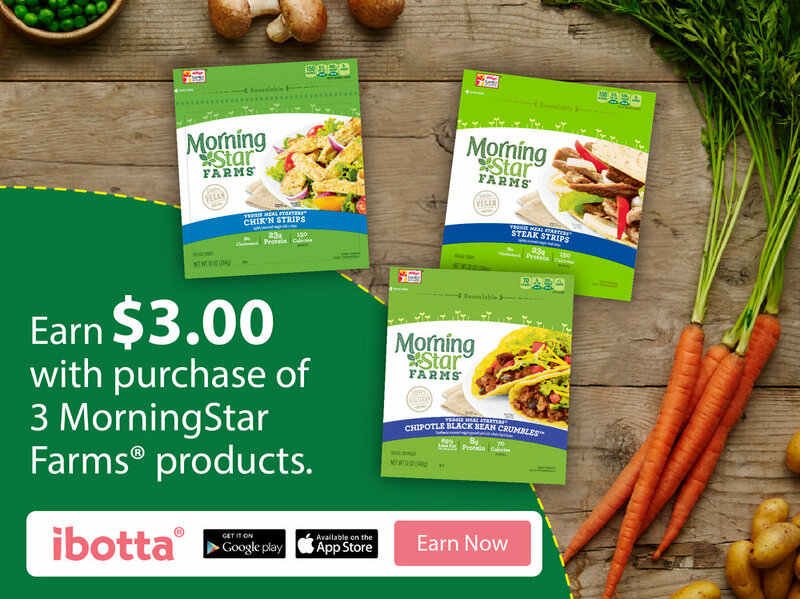 Did you know before my post that with WFM you get a free VUDU movie every month? 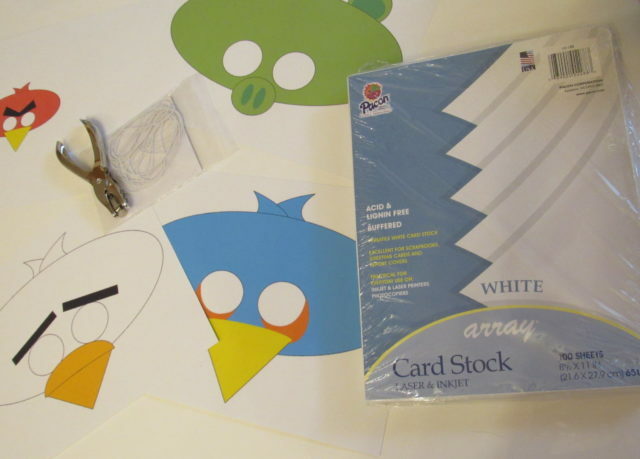 The big question of the day is, which Angry Bird are you? What fun things do you do with your kids to make family night special and memorable? We’ve heard great things about the movie but haven’t seen it yet! 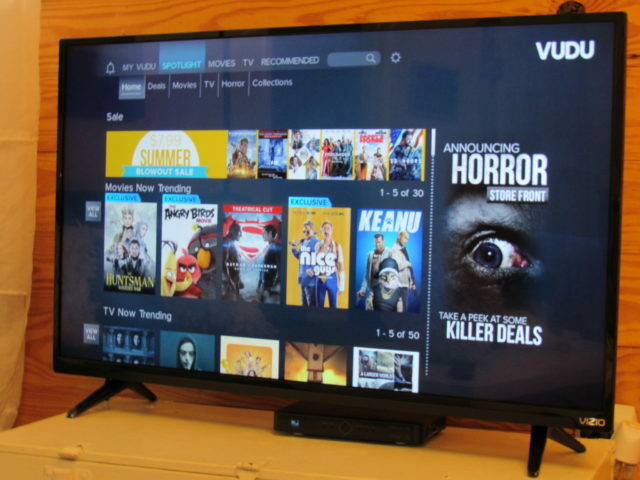 VUDU is a great service and one we use and recommend! Those pizzas are adorable. My son uses a Wal-mart straight talk phone, but doesn’t get the VUDU. Is it a plan specific thing? I have to look into this. We spend a ton on our cell phone plan! 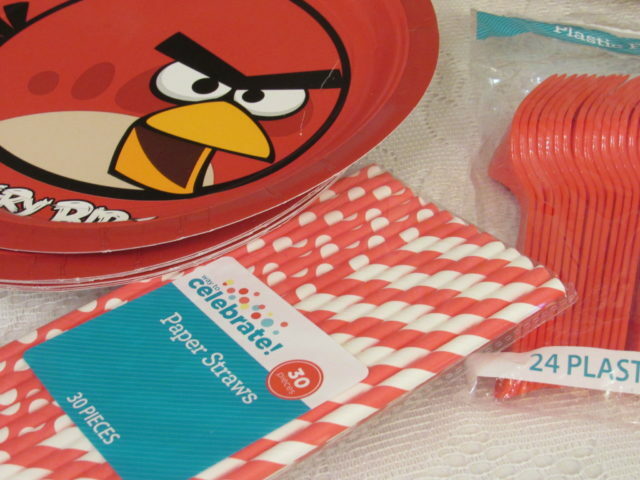 These angry bird treats and activities are too fun!! 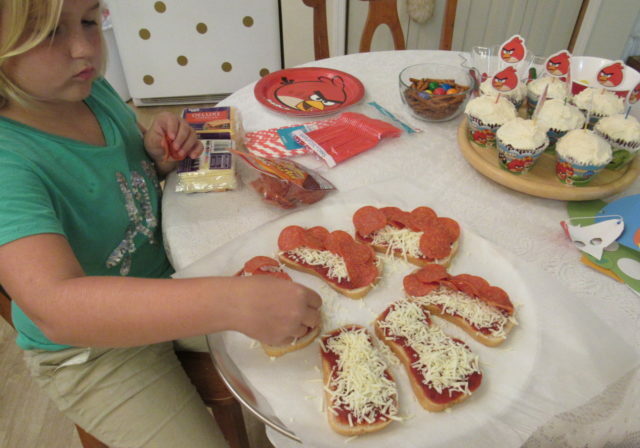 I love your Angry Birds pizzas. They are so adorable. I’ll have to make them for my niece when I visit her this weekend. 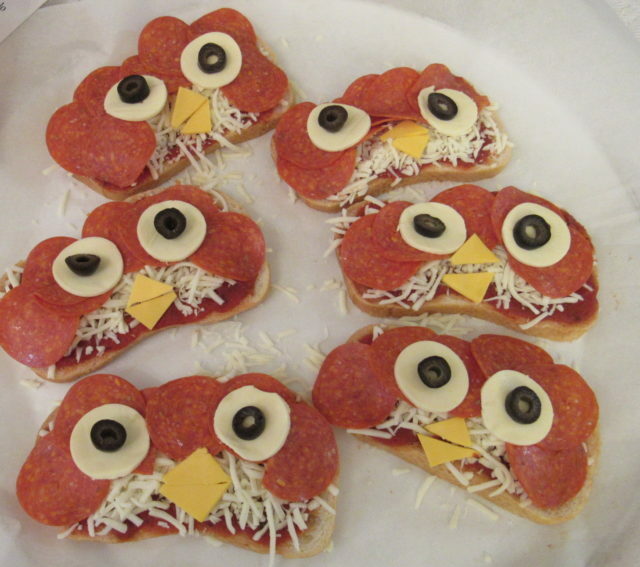 Those angry birds pizza are just the cutest! Our son is a big fan of angry birds. And he loves pizza too. Thanks for the cute idea. Love it! We love watching movies on VUDU! They have some really great movie choices! I think I’m definitely the red angry bird! I loved this movie and these masks are super cute! 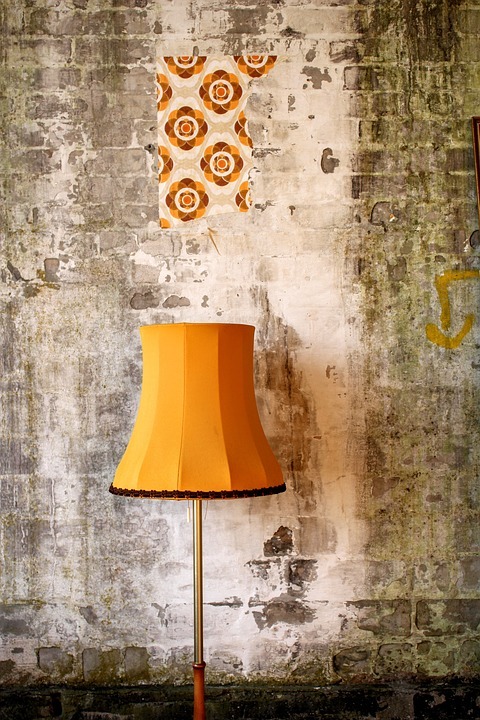 Adorable ideas! My kids Angry birds! 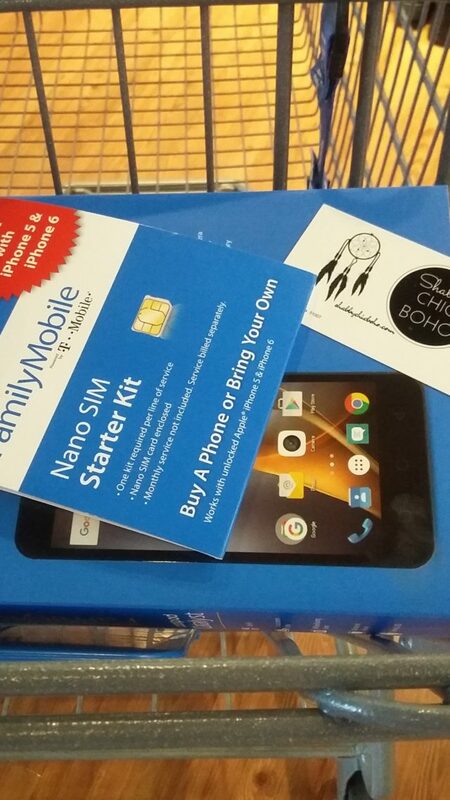 The Walmart Family Mobile plan is so affordable! My family actually have Walmart family mobile service. It has been great. I love the creativity in the Angry Birds with the kids. It all about family time. We are having an Angry Birds movie tonight. I love these ideas — especially the dog in the mask! Walmart sounds like it has a great phone plan. I love the fact that you get a free movie every month. I’ve been looking for a phone company for my kids. I might have to give this a try. Looks like you all had fun with angry birds. Those arts and crafts look so cute! 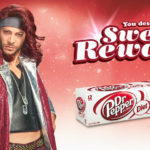 This free movie deal looks very good, I will check it out for sure! First of all, I think you might win the award for the cutest family movie night. 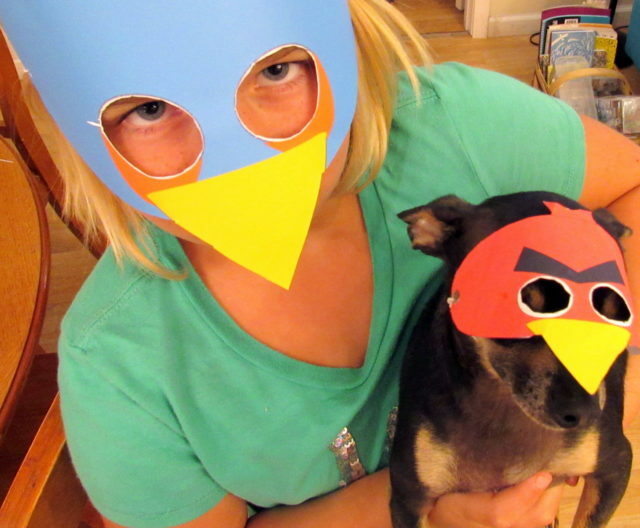 I don’t know which is cuter the dog’s matching masks or the Angry Bird pizzas! 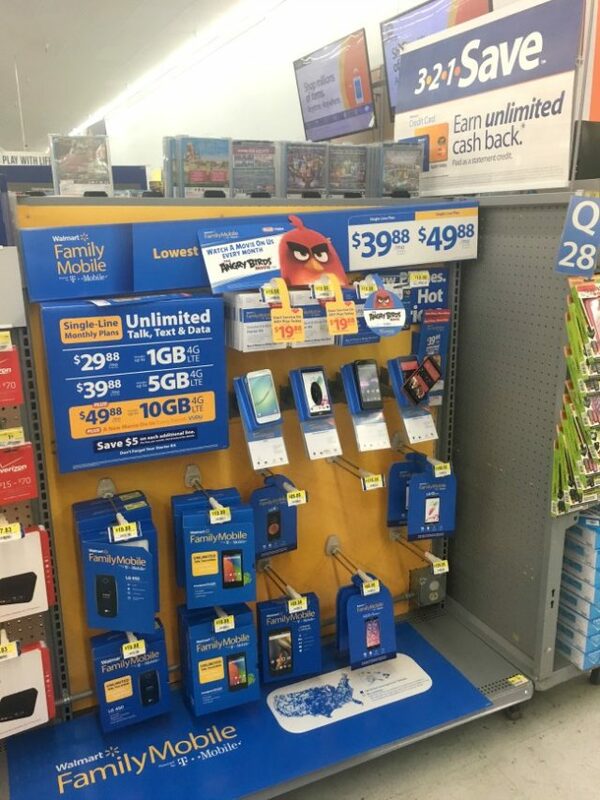 I had no idea that WalMart even had family mobile plans. Wow, call me newly informed! thanks for letting me in on this! My daughters and I saw the Angry Birds movie in theatres and loved it! I can’t wait to get my copy soon too. We’re going to most likely watch it as a movie night this weekend. 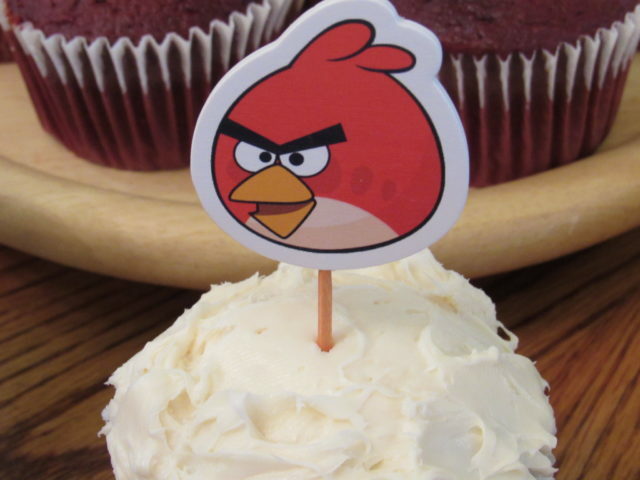 I love all your Angry Bird ideas here too! That looks like a great combo with the Vudu thrown in. We’re big fans of streaming, we have never even bothered with cable/dish, there’s just no need anymore. I guess we missed all the Angry Birds craze at my house since my kids are older. All of the themed crafts and food looks super fun! It’s nice that you get a free movie every month. This is something my family should do. Adorable ideas. My kids are huge angry birds fans. Need to get them the movie asap. I have always been into animations and cartoons, but I have actually never watched Angry Birds before. I seriously need to, though! How cute is that angry mask on your pet! I want to make those for the Halloween! 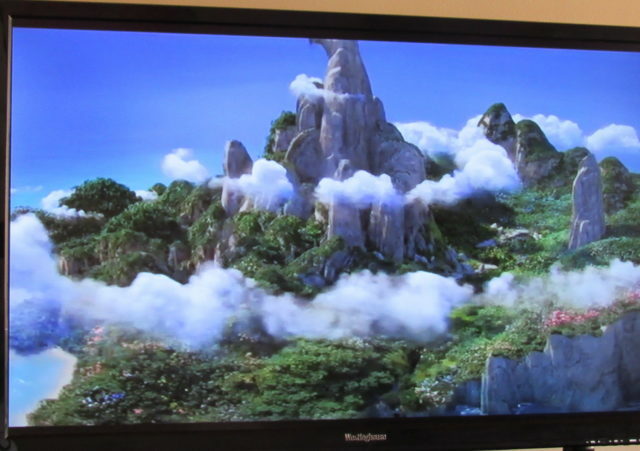 We are not into Angry Birds in my house, we we do love family movie night and saving money. It is so fun popping popcorn and cuddling under the blankets. Hope you enjoy your next movie night! Oh it looks like a fun party! How cute does that pup look with that mask on. Wal-Mart really has some great deals, huh? I love all that you listed here and Angry Birds is a super popular theme for sure. 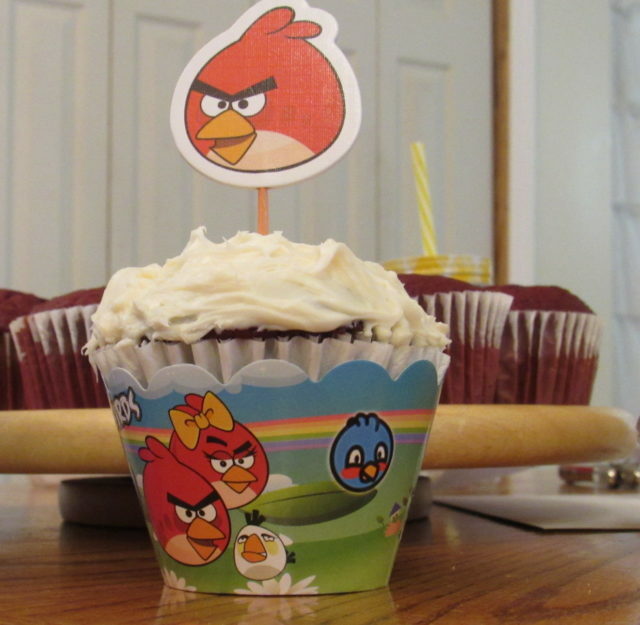 Loving an Angry Birds snack idea too! I haven’t seen the Angry Birds movie yet but we have plans to watch it this week. I love the savings that the Walmart Family Mobile Plan offers. That is something worth getting angry about. I’m Angry for EVERYTHING! Angry Birds was the best movie ever! I was skeptical at first, but I totally loved it. This might be the one time that I encourage anger. 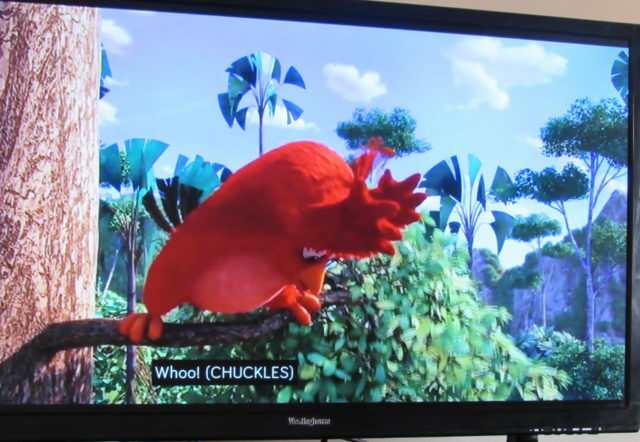 Angry Birds was such a hilarious movie.